A unique and architecturally preserved historical centre, a romantic Mediterranean landscape, rich cultural and historical heritage... These are just some of the reasons why Rovinj is the ideal destination for a romantic holiday. 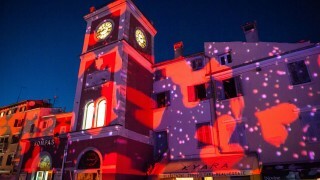 Some of the romantic experiences which visitors can enjoy in Rovinj include strolling around the old town, watching spectacular sunsets, exploring the centuries-old “Zlatni rt” forest park and visiting charming Rovinj restaurants where one can enjoy both a romantic atmosphere and gastronomic delicacies. You can also treat yourself to sipping a morning coffee or an evening cocktail in cafés and bars located across the old town, whether in charming streets and alleys or just beside the seaside. 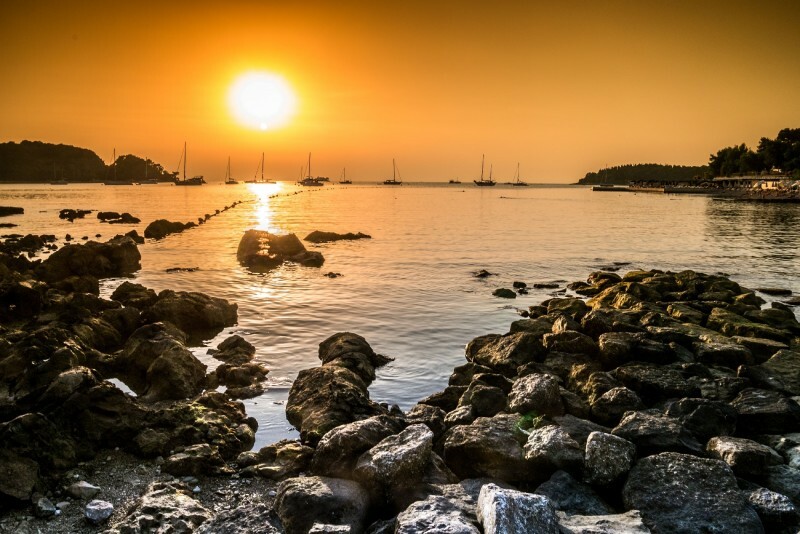 Sunsets in Rovinj are a special treat for those looking for a touch of romance. Whether the sky is painted in gold, red, orange, and pink or the sun is partly covered by clouds, it is going to be a sight you will never forget. There are numerous spots suitable for watching the sunset: the Francesca Bodi Ascent (at the foot of the St. Euphemia church), the Gnot Brothers Promenade (old town - Lanterna), Monte (Baluota beach) the large pier (in the town centre), the beach below the Amarin hotel (located between the hotel and the resort), the beach below the Porton Biondi campsite, Lone Bay - Mulini Beach; the quarry in the “Zlatni rt” forest park. In the evening, it is also possible to go on an organized boat tour taking you from the seafront in the town centre to one of the islands so that can you marvel at a stunning sunset.